Black Friday is fast approaching. Here are some upcoming bargains for you to peruse. Major Nelson is sharing some choice Xbox One deals, including savings on games, software, and accessories. The deals are US only, but you can take a look at all of the Xbox One Black Friday 2016 deals for both US and UK offers. You can save $50 on the Xbox One and Xbox One S between November 20 -23, and you can pick up an Xbox One S starting at $249 – its lowest price ever – between November 24-28. 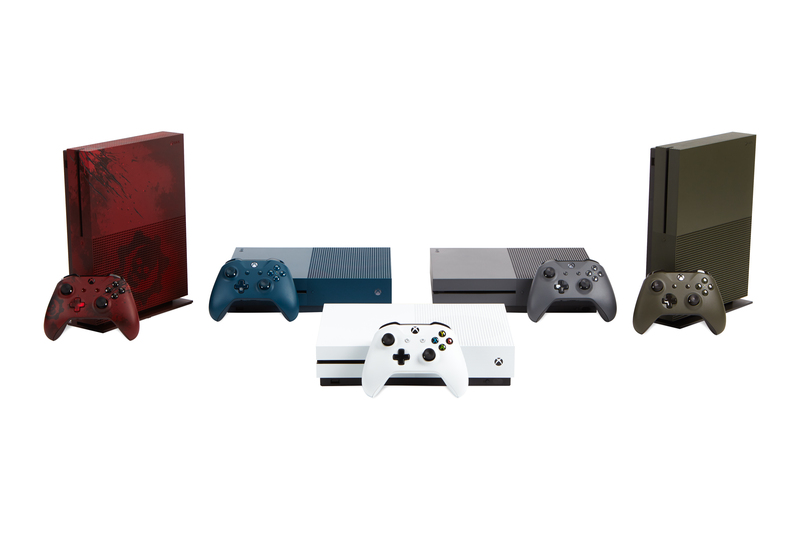 If you’re after Xbox accessories or discounts on Gold Membership, these may tickle your fancy. Nov. 24 – 28: Save $10 on 3-month or 6-month Xbox Live Gold memberships at participating retailers nationwide. Nov. 24 – 28: Save $10 on Xbox Stereo Headsets at participating retailers nationwide. Nov. 24 – 28: Save $10 on select Xbox Wireless Controllers at participating retailers nationwide. Nov. 24 – 28: Get free engraving when you design a personalized Xbox Wireless Controller with Xbox Design Lab. As well as more than 250 deals on Xbox One and Xbox 360 games, films, TV shows, and exclusive digital offers for Gold Members that you can read more about on Major Nelson’s Xbox Wire post, between November 24 – 28, you can save $25 on Gears of War 4 bundled with the entire Gears Xbox 360 Collection, and save $20 on ReCore at participating retailers nationwide. Start saving those pennies and you can bag yourself a bargain in time for Christmas.